'An uplifting record of progress and strength... You'll lay the book down feeling not only informed, but galvanised to take action yourself.' Independent'An incredible book . . . with the potential to change women's lives.' Sandi ToksvigWhy is it taking so long? Despite huge progress since the suffragette campaigns and wave after wave of feminism, women are still fighting for equality. Why will we have to wait until 2069 for the gender pay gap to disappear in the UK? Why, in 2015, did 11% of women lose their jobs due to pregnancy discrimination? Why has 1 in 3 women in the world experienced physical or sexual violence? 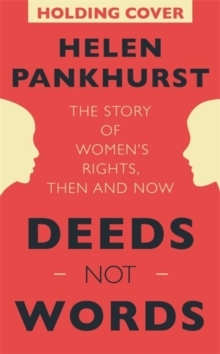 'Engaging...part feminist history, part progress scoresheet and part family memoir.' 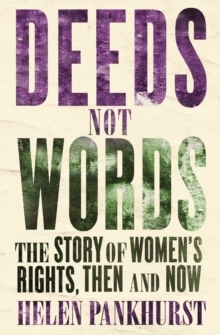 Daily TelegraphIn Deeds Not Words suffragette descendant and activist Helen Pankhurst charts the changes in the lives of women over the last 100 years. She celebrates landmark successes and little-known victories, looking at politics, money, identity, violence, culture and social norms and turning to the voices of both pioneers and ordinary women for their perspective. 'An exciting and engaging account of an essential part of British history.' Mary Evans, Emeritus Leverhulme Professor, London School of EconomicsCombining historical insight with inspiring argument, Deeds not Words reveals how far women have come, how far we still have to go, and how we might get there.